MAHLE Aftermarket Awards Florida Tech With The ‘MAHLExRTR’ Grand Prize Ride-Along With Vaughn Gittin Jr.
MAHLE Aftermarket Awards Florida Tech With The 'MAHLExRTR' Grand Prize Ride-Along With Vaughn Gittin Jr.
Centerforce, manufacturer of performance clutches for classic and late model cars and trucks, has announced the launch of its newly redesigned website at Centerforce.com. 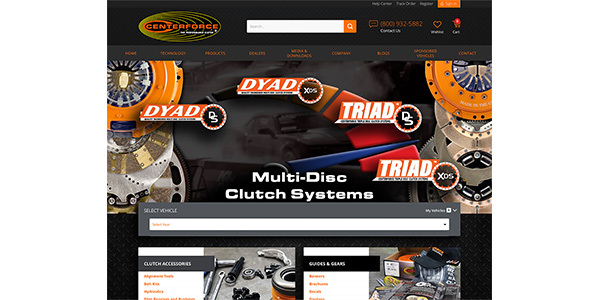 The website features an updated design with more content and improved functionality that makes finding the right Centerforce product easier than ever, the company says. 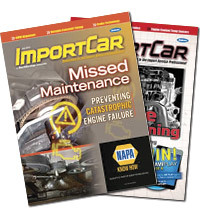 One of the biggest improvements to the new site is the year/make/model lookup feature for all Centerforce clutch kits. This tool allows customers to quickly and efficiently find the correct kit for their application and optional components that go with it. Centerforce’s new website also features a newly designed Sponsored Vehicle and Blog section that will be regularly updated with news on new product releases, special announcements, events and more. Visit centerforce.com to learn more.